PPG Coating Systems for Electric Utilities including Keeler and Long and Amercoat is respected for its decades of experience in coating and maintaining North America’s power generation and transmission infrastructure. Keeler and Long’s ELIMINATE THE MOVEMENT program provides utilities with a turnkey value-added maintenance program for the preservation of transmission towers. PPG Keeler & Long KL4400 and KL4400-2000 are the standards in corrosion protection and asset preservation for transmission towers in the power industry. Corrosion on transmission towers happens at an exponential rate. Through the PPG Keeler and Long defined asset preservation program, utilities can significantly extend the life cycle of transmission towers. KL 4400 (KL4400-2000) is specifically designed for coatings transmission structures, and specified at major utilities. KL 4400 is consistently applied throughout the country and on tens of thousands of transmission towers. 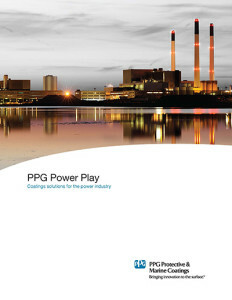 PPG Protective and Marine Coatings is also a major supplier of performance coatings in the nuclear power industry. PPG Keeler and Long and PPG Amercoat coating systems have been used in nuclear generating facilities throughout the United States. 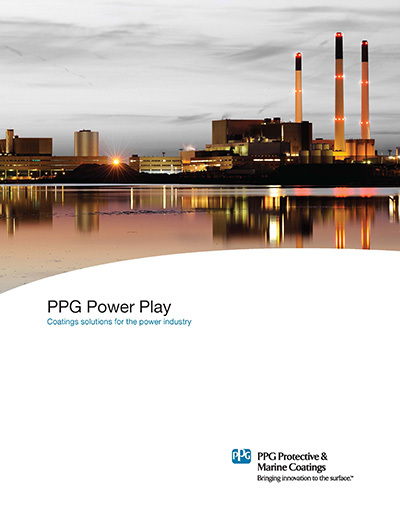 PPG Protective and Marine Coatings has established the following guidance for LEVEL 1 areas of nuclear generating sites and guidance for LEVEL II, LEVEL III and BALANCE of PLANT for nuclear generating sites.